Copyright. 1876, by E. H. Harding. One ticket gave a lady admittance and her grub. 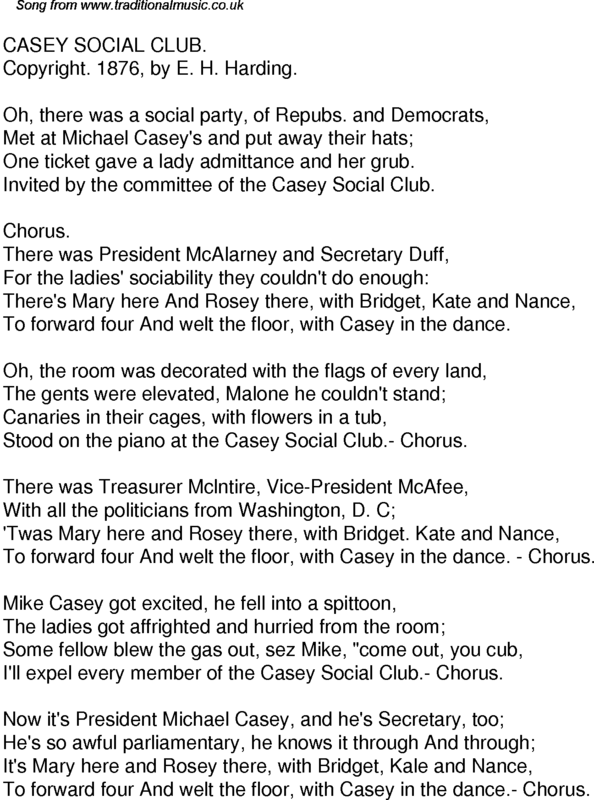 Invited by the committee of the Casey Social Club. To forward four And welt the floor, with Casey in the dance. Stood on the piano at the Casey Social Club.- Chorus. To forward four And welt the floor, with Casey in the dance. - Chorus. I'll expel every member of the Casey Social Club.- Chorus. To forward four And welt the floor, with Casey in the dance.- Chorus.